Have a question for Adina Apartment Hotel Norwest Sydney? "Great restaurants and the area is a credit to their local council and planners." "The biggest rooms are just 2 rooms put together." 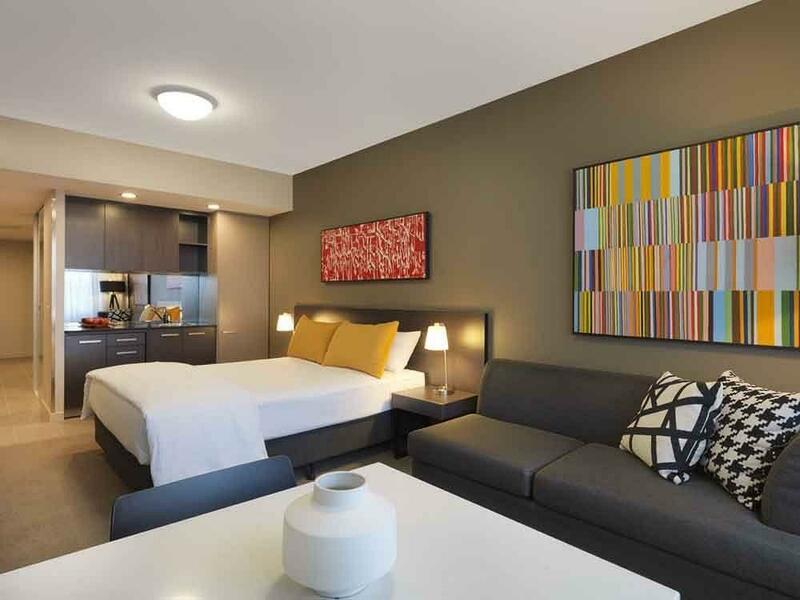 "NIce clean rooms of good size"
Designed for both business and leisure travel, Adina Apartment Hotel Norwest Sydney is ideally situated in Hills District; one of the city's most popular locales. The hotel is not too far from the city center: just 36 km away, and it normally takes about 45 minutes to reach the airport. 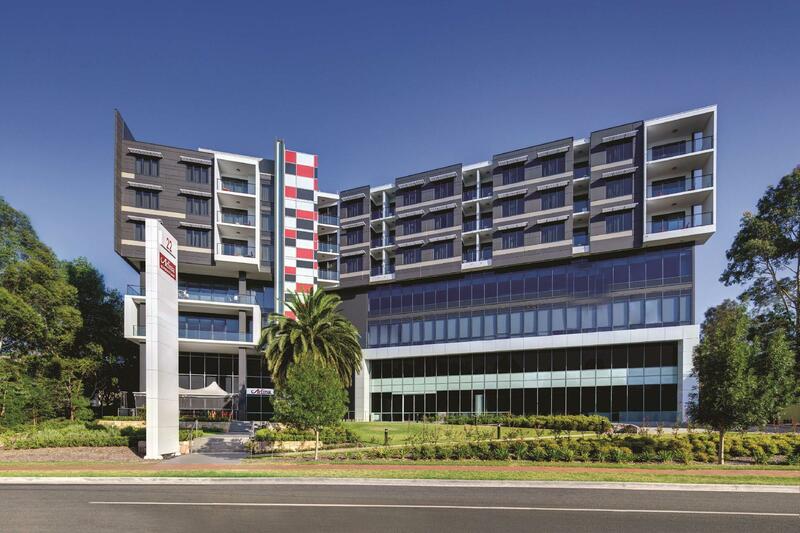 A well-kempt environment and its proximity to Norwest Private Hospital, The Hills Private Hospital, Insight Medical give to this hotel a special charm. 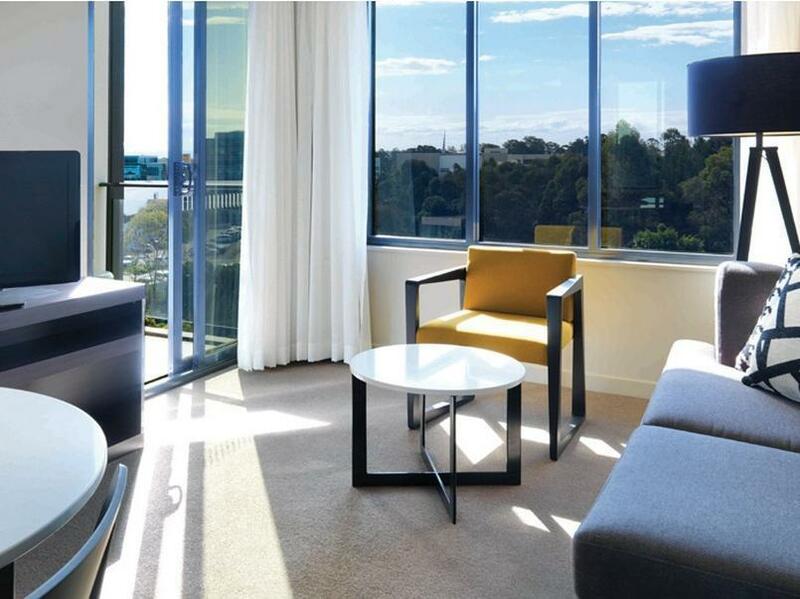 The facilities and services provided by Adina Apartment Hotel Norwest Sydney ensure a pleasant stay for guests. Guests of the hotel can enjoy on-site features like free Wi-Fi in all rooms, 24-hour front desk, facilities for disabled guests, luggage storage, car park. Hotel accommodations have been carefully appointed to the highest degree of comfort and convenience. In some of the rooms, guests can find television LCD/plasma screen, carpeting, complimentary instant coffee, complimentary tea, linens. The hotel offers fantastic facilities, including fitness center, outdoor pool, to help you unwind after an action-packed day in the city. 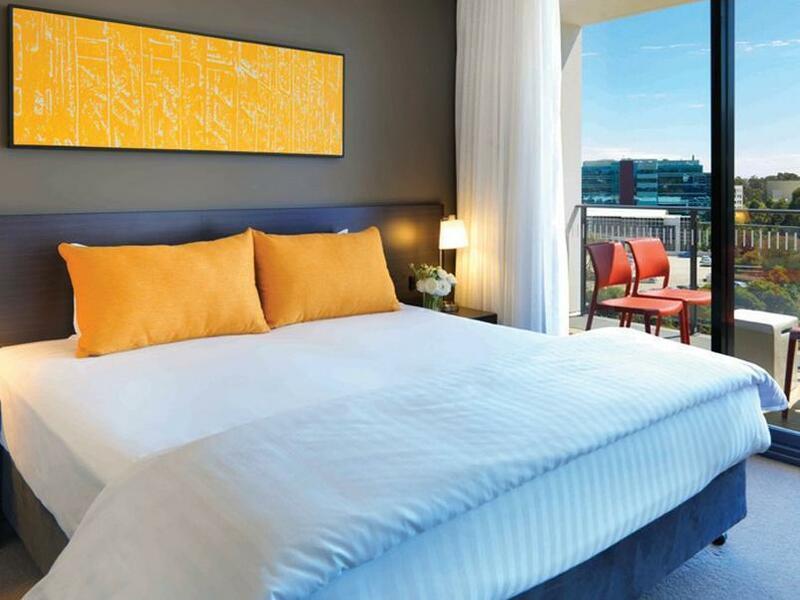 Adina Apartment Hotel Norwest Sydney is an ideal place of stay for travelers seeking charm, comfort and convenience in Sydney. "Adina apartment is very clean and very comfortable, highly r..."
Please note that a valid credit card must be produced on check-in. Wi-Fi Access is available at free of charge for up to 100Mb per 24 hours. An additional charge of AUD 9.95 applies thereafter. Adina apartment is very clean and very comfortable, highly recommended to other guests. Same problems again for the hotel housekeeper entry into my room sudden with out notices. I felt very frighten and not safety while I stay in room. This is the second time to stay at this hotel. I hope it will be improving and never happen again for my next stay. Spotlessly clean, Comfortable,.... Everything You desire In A Hotel. i have stayed in many hotels, over the past ten years, and for the price, adina apartment hotel offers you everything, and more, than far more expensive hotels, do! it is very pleasant decor, and once again, when you think about the price you have paid, in comparison to others, you simply pat yourself on the back for choosing it! comfortable bed, nice quiet surroundings, so that you get a really good night's rest. the bathroom has a wall-to-wall mirror, allowing two people to comfortably service themselves. great shower, with a decent size shower rose. all-round comforts, at an affordable price! No early check-ins. Offered to upgrade or wait till 2 pm to checkin.. The room provided did not look like the photos and did not have a kitchenette. No high speed internet. Really slow or useless. The only thing that was disappointing about this facility was that there was no café or restaurant open on site. I arrived on a Saturday to stay one night. The Concierge said the distance to the nearest cafes was about a 5 minute walk. This turned out to be a 20 minute walk. The nearest cafes open on a Sunday are at the Coles mall which is a very small mall. Overall the walk is pleasant as it goes around a man-made lake and it is boardwalk all the way, partway through a park and an underpass. If the weather had been unpleasant it would have been a very long way to get a real coffee. The only other difficulty was that the taxi could not find the hotel. The road is closed at one end and there was no sign that would have assisted customers to find the other way in. The taxi driver ended up calling the hotel to find the other entrance as Google Maps was not clear and neither was his GPS. His comment to me was that Adina did not care about it's customers to not have not put up a sign. It was a great room with a nice large bed, mini bar and a table and lounge to sit at. The bathroom was clean and the bathroom soaps and things were a great quality. The only issue we found was when we woke up in the morning and read the hotel tips it told us there was a cafe 2 minutes from the hotel. Unfortunately we walked up there only to find they were fully booked and there were no other cafes within walking distance. This is not the fault of the hotel, just ssomething to keep in mind for traveller's.. The staff were friendly and we thoroughly enjoyed our stay. We booked through agoda and got an upgraded one bedroom appartment it suited us and our two small babys just fine room size was more than enough and having the option of the sofa bed was also a huge plus! Would defanatly stay again! Very pleasant and comfortable. The staff couldn't have been more courteous or helpful. The location is excellent, out of the traffic but close enough to the major thoroughfares. Close to the venue we were attending. Good location close to many activities ourltside Sydney and highways. Clean and bright apartment. Courteous staff. 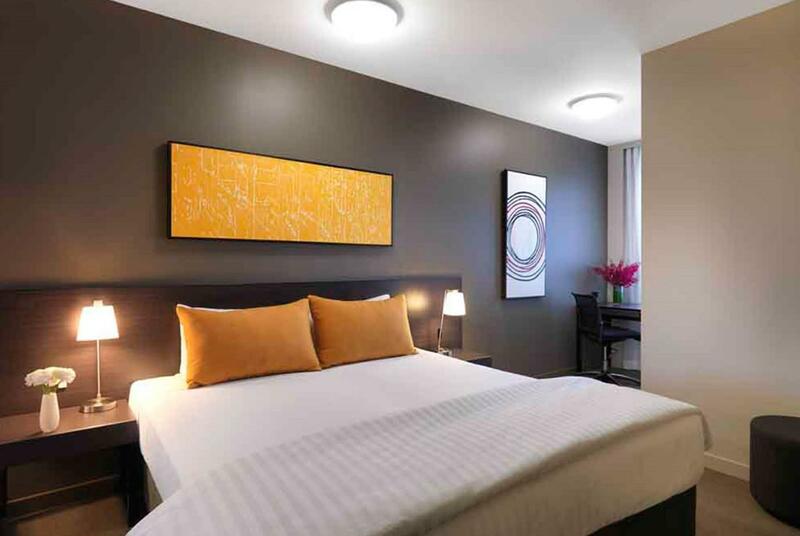 Clean and well-located aparthotel if you have a car and want to visit Sydney's surroundings. Very nice staff. Coles supermarket at walking distance. Very basic kitchen utensils and free internet capped at 100 mb. Then paid options are quite expensive. Restaurant at the ground floor - not tested though. Overall a nice aparthotel but more business oriented than leisure. We had a great stay, in Sydney for a few days to catch up with friends (significant birthday party). Location is great for the Hills District (or for Norwest Business Park if travelling for business). Rooms are comfortable, modern, clean and well maintained. Staff were very friendly and helpful. Plentiful parking. Restaurant is run by a third party and is very good. The only issue was the hours are limited in the evenings (closes at 9:00pm) and we discovered at the last minute that they are not open on Saturday afternoons/evenings. (the hotel room guide is incorrect, it states the restaurant is open Sat nights). No a huge problem, there is a Coffee Club just down the road. Overall and excellent stay and would stay again. The friendly and very helpful staff made our stay at this moder, comfortable, and clean hotel a real pleasure. The room was generous with great facilities and a comfortable bed. It would be a delight to stay there again. Very good. Hotel staff very good.if we did not get the upgrade it would have been a little expensive.the restaurant at the hotel was closed on the Saturday night. If it had been open we would have eaten there. I was so shock for housekeeper come in to my room for check mini bar without my agreed last time. He explained that he has knocking the door but I cant hear. Anyway it make me feel not secure and uncomfortable next time I stay your hotel. the accommodations, staff and cleanliness. My stay there was exceptional. I highly recommend this hotel to everyone!! I had decided to upgrade the room shortly after arrival. The one bedroom unit was very helpful for two weeks because it included a washer and dryer, small cooktop stove, oven and a full-size refrigerator. The only negative would be the expensive hotel restaurant -- but the ability to shop at the local supermarket greatly aided the ability to cook my own meals. We booked 4 rooms in 2 adjoining suites to prepare for our wedding day. The staff were very supportive and very accomodating to our needs, considering how busy the rooms were. We had several members of our bridal party, plus makeup team, photographers/videographers come in and out and they were very understanding. It also helped that parking was not a hassle. Free parking and plenty of it! clean, quiet, staff very attentive. Amazing, extremely great value for money. Great to be able to cook in kitchenette, do washing in my room yet have clean towels & linen everyday. Helped immensely whilst we were between houses, made our kids feel special & important whilst our family was going through a difficult time. Can't wait to go back soon.